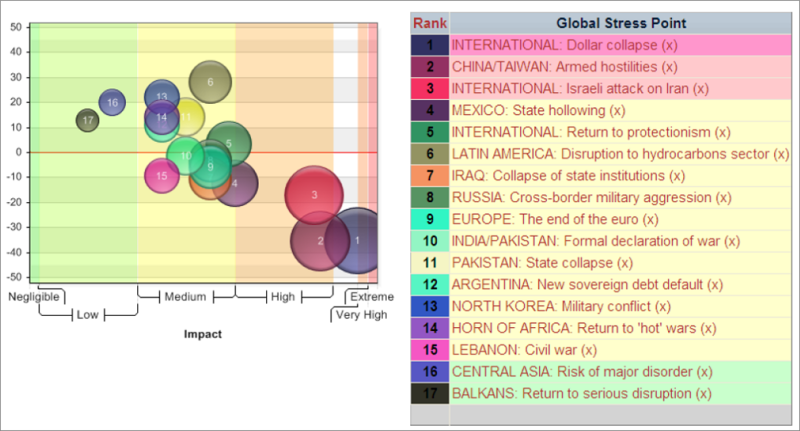 According to Oxford Analytica, there are 15 "Global Stress Points" ranging from medium to extreme high impact to the entire world. These are listed below ranked by their potential impact. It can give us Europeans some comfort that the euro's demise is surprisingly not as big a deal as the Dollar Collapse or a China/Taiwan war.